TJ Hughes: Thinking of Escaping the Great British Winter? Thinking of Escaping the Great British Winter? With reports that this is going to be the coldest winter on record, the thought of escaping the wind, rain and snow is appealing. Why not start preparing for your holiday by checking out our travel essentials available both on our online store and in-store? 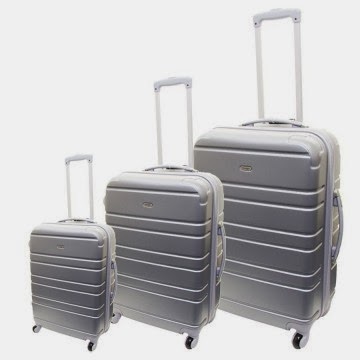 Suitcases are key to keeping all your essentials safe and we have a wide range of good quality discounted suitcases to suit all needs. 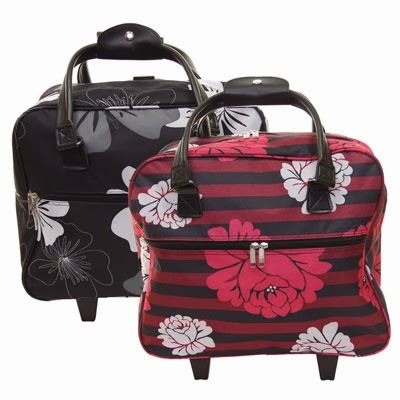 Figuring what you want from a suitcase is key, consider; capacity, colour, hard/soft case, wheels/holdall, and handle. We have a range of suitcases which all differ from each other but there are various sizes of each model - so there is a size to suit all needs! The 'Voyager ABS Expandable' is a lightweight case and is available in a range of sizes. Manoeuvrability is a must when you are trying to make your way around a busy airport, and the Voyager’s easy move four wheels ensure you can glide towards the check-in desk with ease. The body of this suitcase is even made out of the same material as crash helmets - so you know you can rely on this durable case. The 'Compass Large Multi Use wheelie Bag' would be suited to a shorter getaway and is super simple to transport and with its thirty litre capacity there is plenty of room for all essential items with room to spare! There is a wide range of sunglasses, skin care and tanning products available both online and in-store. Be sure to buy all your luggage essentials in advance to avoid missing out on our great deals on all our holidays essentials! Escape the January blues by getting away this 2014 - our travel essentials will help you prepare for any trip.